Just call him Mr. Defense. Terrance Berry 6’3″, 175 was called in nearly every game off the bench in 2011-12 to play shut down defense on an opponents best player. 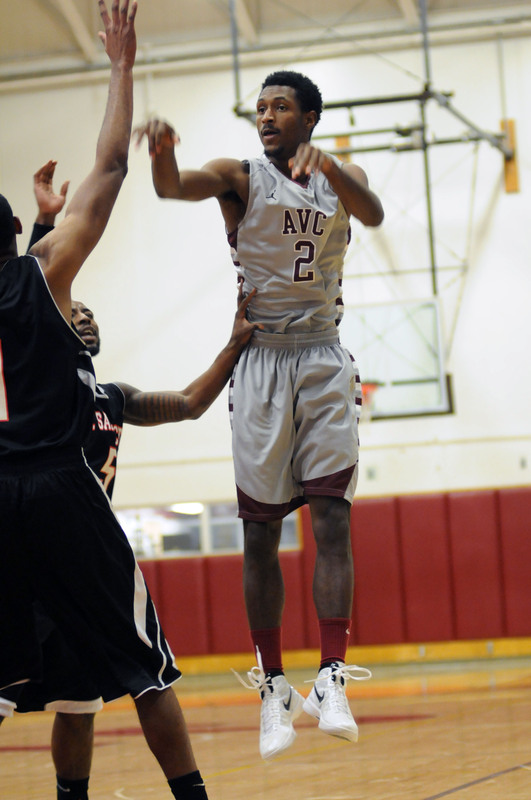 Terrance dedicated himself to his defensive role and got minutes on the Final Four AVC team. As a sophomore, Berry is hoping to expand his role to from the defensive stopper to include an offensive force at the two and three positions for the Marauders. “T” Berry had an outstanding Spring/Summer season. He improved on his offensive skills this summer won a summer showcase game for AVC against Merritt College by draining a long 3 ball in overtime. Berry is known for his defensive intensity and he played shut down defense in his minutes during his 8 showcase games. Mr. Berry is a team leader and has set expectations for the AVC team.